Removing the right to compensation, as currently contained in section 25 of the Constitution, when expropriating property will be a "lethal blow" to the legitimacy and stability of constitutional order if done under present conditions, think tank Free Market Foundation (FMF) tank says. The governing African National Congress (ANC) has signalled plans to amend the Constitution to allow for acquisition of land for redistribution without paying compensation. FMF legal researcher Martin van Staden said negotiations in the 1990s had led to a constitutional order "that is today widely accepted, and acceptable". "Expropriation without compensation will change this in a very fundamental and dangerous way," van Staden said. He denounced an announcement that the Constitutional Review Committee set up to look into expropriation would only consider a “sample” 400 submissions out of thousands submitted. "Hundreds of thousands of ordinary South Africans and civil society groups poured untold hours, effort, and resources into their submissions to parliament, only to receive a nonchalant response from the committee telling them to get lost," he said. "This is the most important constitutional moment in South African history after the adoption of the Constitution itself, yet Parliament hopes to wrap it all up in under a year; hopefully in time for the ruling party to brag about it in the upcoming elections." 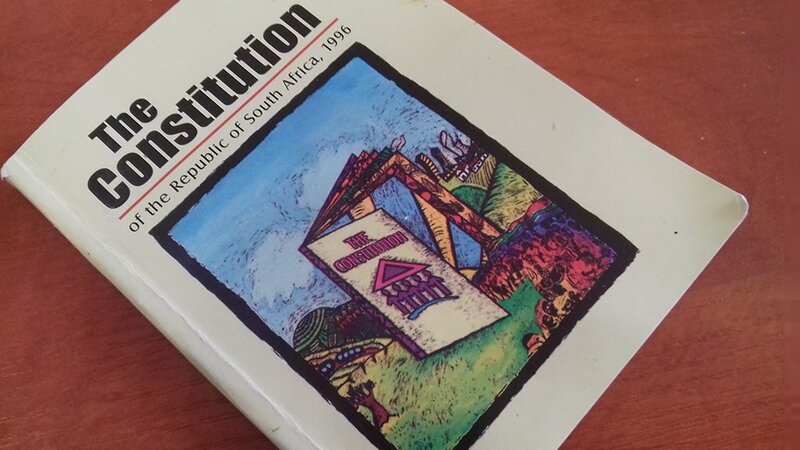 Van Staden said if the government wanted expropriation in the Constitution to be truly harmless and legal, the language of the amendment should be specific and "circumscribed to an extent we have never before seen in South African legislative drafting". The ANC and other political parties such as the Economic Freedom Fighters say land reforms are necessary to address ownership imbalances created when land was forcibly taken from blacks centuries ago by white settlers.